Private First Class Chelsea Manning will be referred to using feminine and / or gender neutral pronouns in accordance with a ruling handed down by the United States Army Court of Appeals, Politico reports. Manning, formerly known as Bradley, began her process of transitioning after being convicted for sharing state secrets and violating the Espionage Act of 1917. 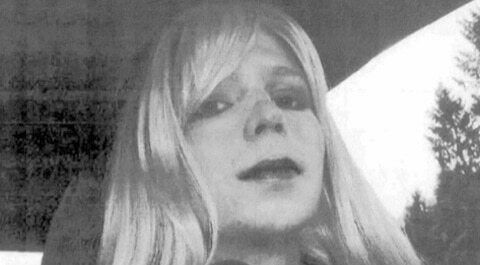 Manning, faced with a 35 year-long sentence, started agitating for her transition not long after being incarcerated. "After carefully considering the recommendation that [hormone treatment] is medically appropriate and necessary, and weighing all associated safety and security risks presented, I approve adding [hormone treatment] to Inmate Manning's treatment plan," Nelson explained during one of Manning’s most recent trials." Going forward it remains to be seen how receptive the U.S. army will be to Manning’s request for full physical reassignment.